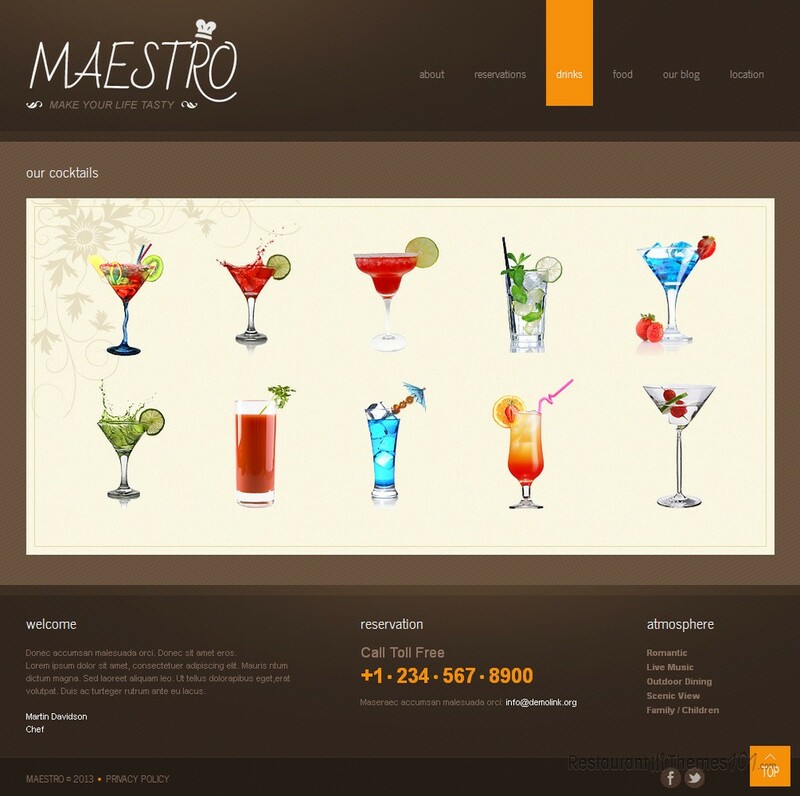 Maestro is a very interesting looking restaurant template for Joomla created by Delta, and featured at Template Monster. The homepage of this template looks very unique and attractive. Different shades of brown give the whole layout a nice, cozy, classic elegance look that is very pleasant for the eyes. There is a huge, full width slider featured and this is the perfect spot for showcasing your products. 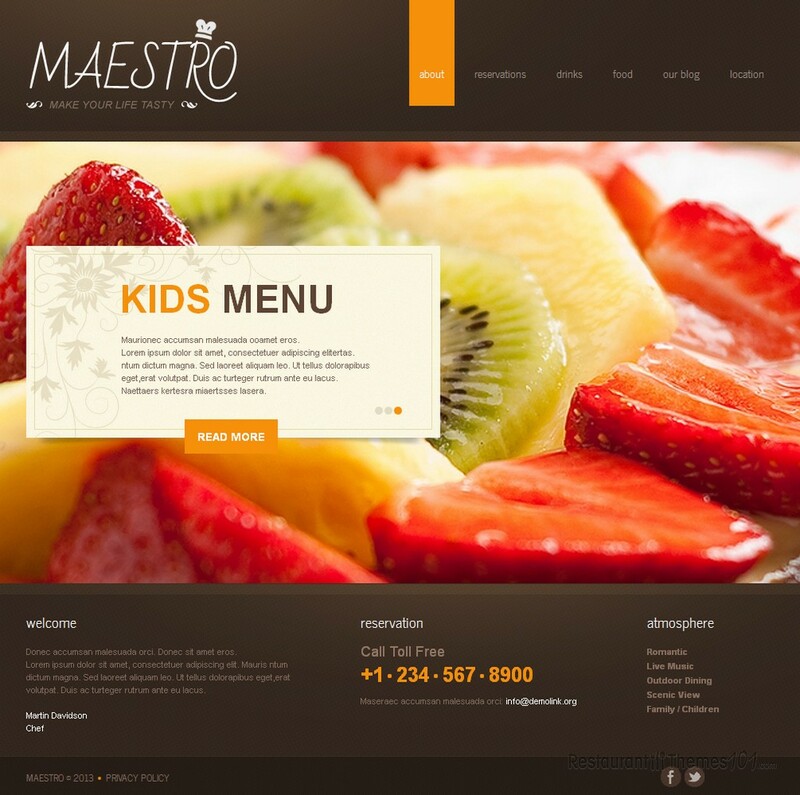 Make your visitor’s mouth water the same minute they enter your website by posting delicious photos of your food or pleasant photos of the nice atmosphere at your restaurant. Each photo can be followed by a short introduction text and you can link it to your posts so your visitors can get to a full content page when they click on the introduction, which is a great way to point their attention exactly where you want it to be and make your most important elements stand out. The homepage isn’t loaded with details and various content; therefore it won’t distract your guests away from your service. Its main focus is on the big slider, and you can add a cute welcoming note, your contact info and your important posts in a list form. Your working hours will be shown in the reservation area, and this is also where you can place your news and your detailed contact and reservation info. When it comes to the menu, you can have a separate drink and food menu, and both of them nicely organized, with great photos, descriptions and prices. 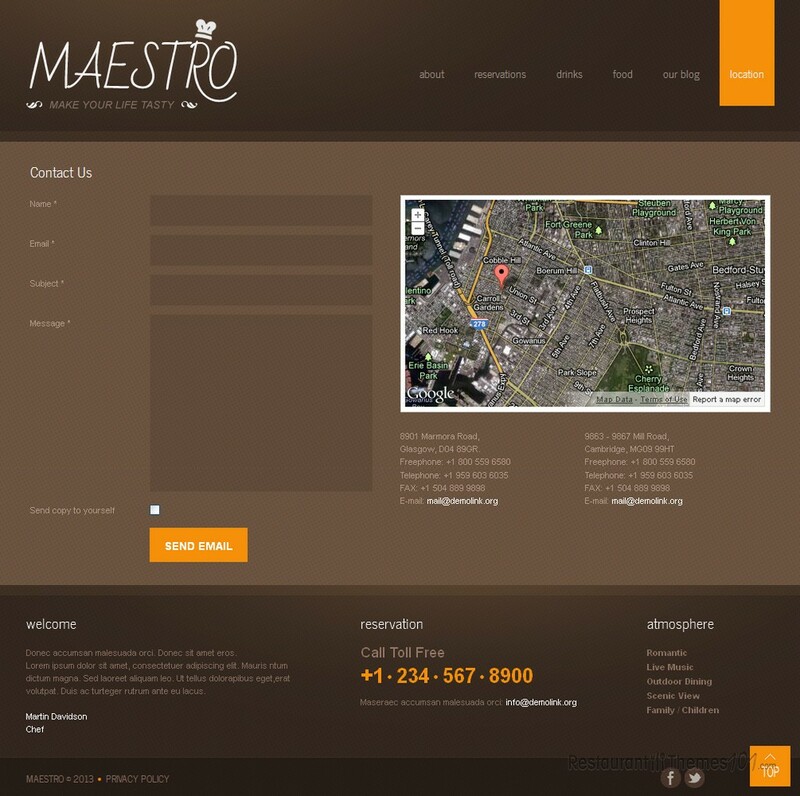 A nice, simple contact form was added to the location area, allowing your visitors to message you easily and quickly. This area also features Google Maps, making sure everyone gets the right directions to your restaurant. 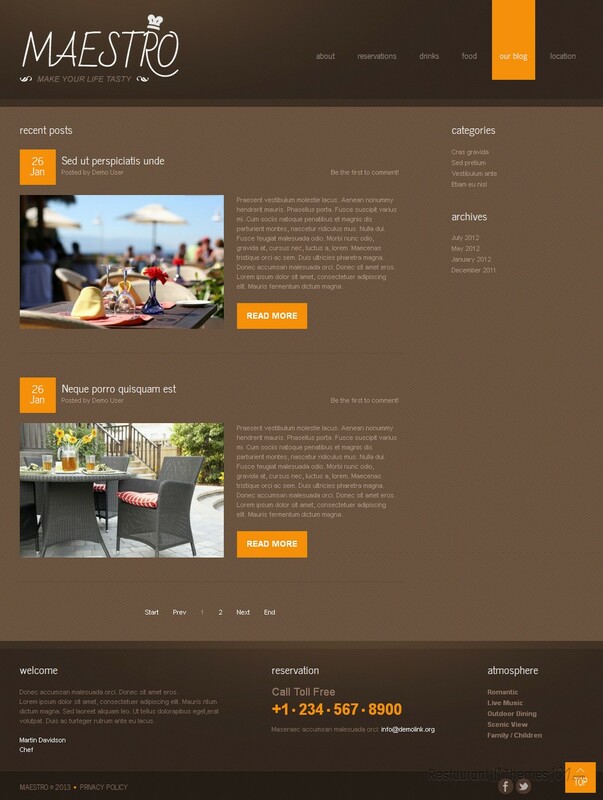 This Joomla restaurant template is functional, awesome looking and most importantly it’s very easy to run. 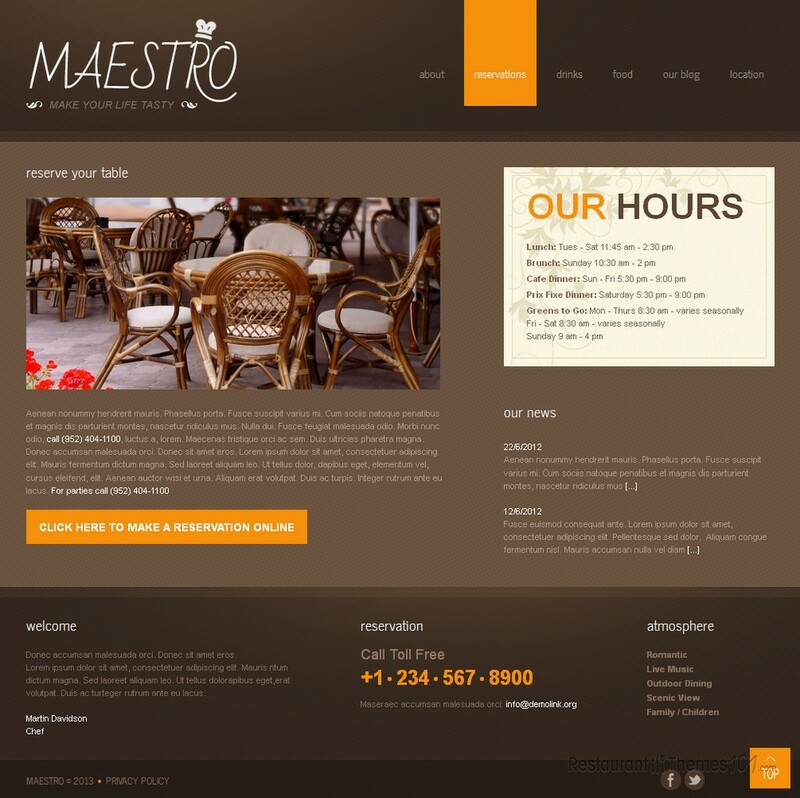 It comes with setup and installation instructions and you don’t have to be a professional webs designer to create a great website. With this template, anyone can do it!